Dak Prescott has heard what New York Giants safety Landon Collins has said ahead of their Week 2 ready. The Dallas Cowboys quarterback is ready for the challenge. 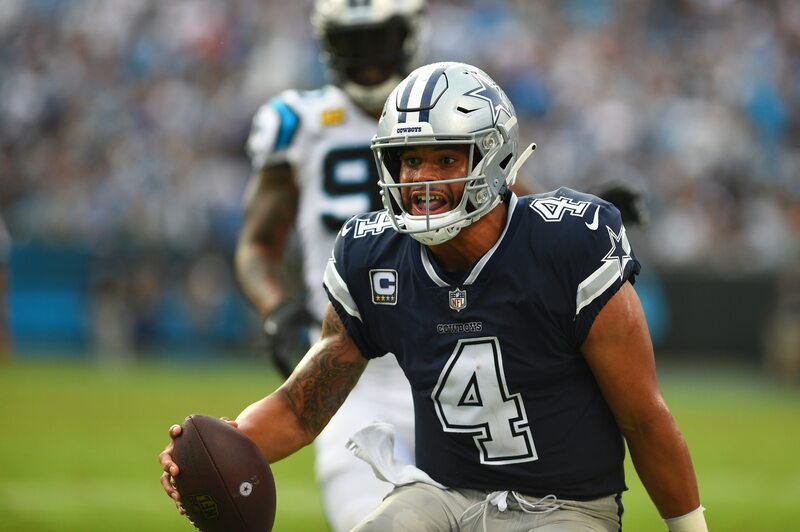 In the season-opening loss to the Carolina Panthers, he went 19-for-29 for 170 yards with no touchdowns, no interceptions and a 81.1 passer rating. He was also sacked six times. Prescott will need to be much better in Week 2 if he’s going to win this challenge. In fact, Collins’ strategy is pretty obvious. Teams are going to try to limit what Elliott can do all season. For Dallas to get much better, Prescott will need to accept and win this challenge in Week 2 and for the remaining 14 games after it.